Life raft inspection services in Panama with Oceanco that have over 10 years’ experience in life raft testing, service and repacking. Dock side pick up and delivery available. Air-Sea Safety requires that all marine safety personnel are regularly trained and certified to follow each specific manufacturer’s service procedures. As a result, we are authorized to service all major brands of life rafts and inflatable crafts. Life rafts are considered one of the most important pieces of survival equipment on any boat, and equipped to save your life in the event you have to abandon ship. A life raft is the last piece of equipment any boater ever expects to use, with the assumption to likely never to see that boat above water again. Proper life raft service inspections ensures that your life raft will operate and perform as designed, and restore your confidence in open waters while increasing your raft’s life expectancy. There is no room for cutting corners in the life raft department and you must have complete confidence in the people who inspect and repack it. 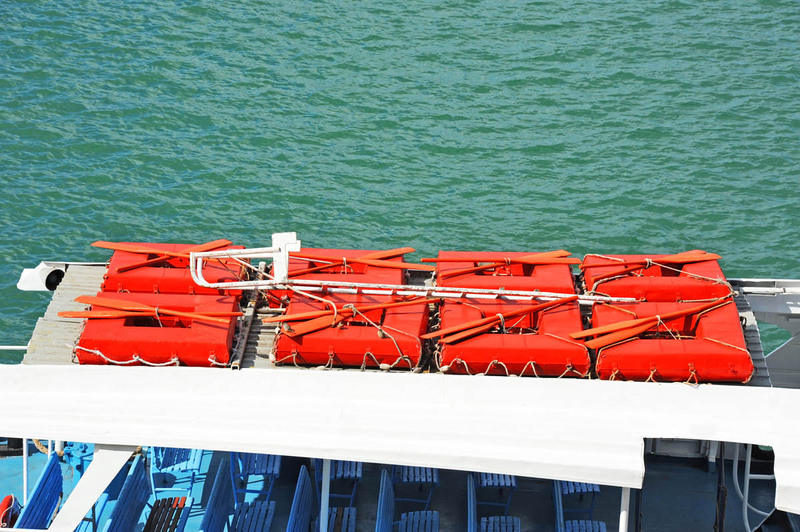 Different life rafts come with different servicing requirements with commercial life rafts requiring annual inspection services. Inspecting life rafts should only be done by trained professionals who can also give you an in depth tour of your gear and properly repack it so that water will never get inside. Panamax has a detailed procedure for liferaft servicing to maintain highest quality standards. All the information related to inspection and certifications are archived according to regulations. The servicing includes cleaning, inside and outside inspections, repair work and replacements of liferaft equipment (if needed). The serviced liferaft goes through different testing procedure that are subjected to various intervals according to international regulations.